The wonderful world of Colette Kids is having a back to school sale! ...trouble is, it will end soon, so visit as soon as you can an see the graphic farm of animals and remember that they are all organic. 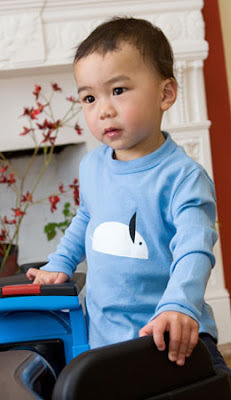 Colette kids is a sweet little brand that started about a year ago when designer Anita Lee had kids and the itch to put them in fun and organic graphic t-shirts, and I love to support anyone doing anything by hand and at home! So don't miss their back to school sale and save big on small t's!